Found ocean plastic and driftnet from Hawaii, Costa Rica, New Bedford, MA, Florida Everglades and Monaco. Exhibition view from Oceanomania at the Villa Paloma, Nouveau Museé National de Monaco. Curated by Cristiano Raimondi, Sarina Basta and Mark Dion. This work was created specifically for the exhibition Oceanomania at NMNM. 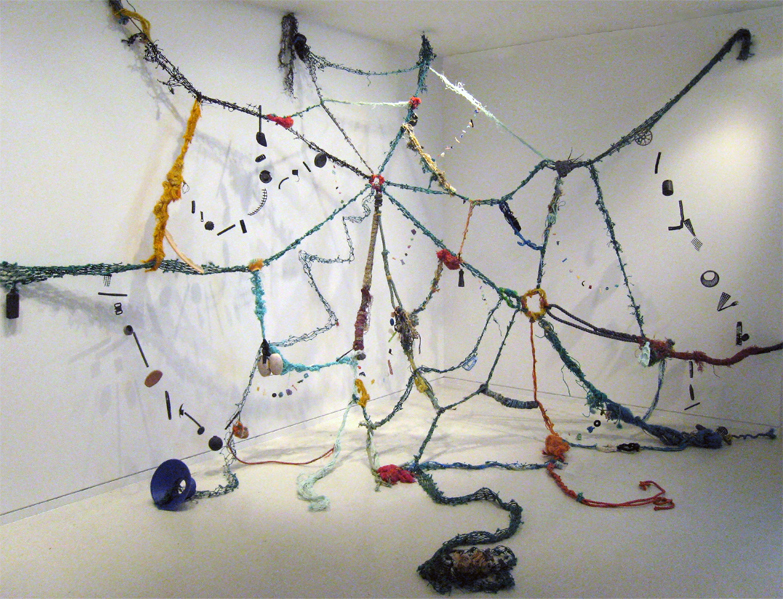 Other artist participants in the exhibition contributed driftnet recovered from New Bedford, MA and the Florida Everglades that was used in the sculpture. I cleaned a coastal zone in Monaco and found a single piece of plastic that was incorporated in the final installation.